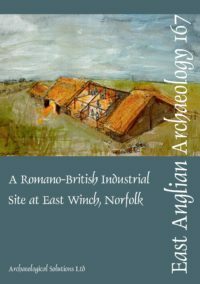 The destruction by fire of a reconstruction of a Sunken-Featured Building (SFB or Grubenhaus) at West Stow Anglo-Saxon Village, Suffolk, presented a unique opportunity for experimental archaeology, and provides new insight into the nature of burnt buildings in the archaeological record. It also provides an opportunity to understand better the structural form of this distinctive building type. 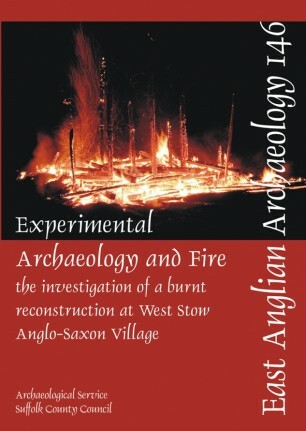 The burnt remains of the reconstruction were meticulously excavated and recorded using conventional methods combined with a range of forensic fire investigation techniques, which has enabled the seat of the fire and sequence of destruction to be identified. The study has also enabled a range of standard scientific techniques to be tested because we know how and with what materials the building was constructed and also what and where objects were located within it when the fire occurred. The results are fully described and presented in this unique study, and the implications for our understanding of burnt remains are examined, providing a reference for future investigations of buildings destroyed by fire.